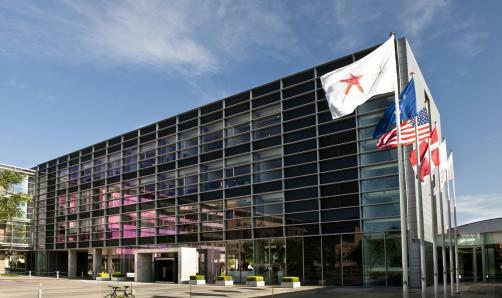 Lundbeck has earned two recommendations from regulatory committees of the FDA and the EMA, which both recommended the company’s drugs for major depressive disorder and schizophrenia should be approved. In the US, the FDA’s Psychopharmacologic Drugs Advisory Committee (PDAC) voted eight to two that there was ‘substantial evidence’ to support the effectiveness of Brintellix (vortioxetine) for treating certain aspects of cognitive dysfunction in adults with Major Depressive Disorder (MDD). The committee also agrees that cognitive dysfunction in MDD ‘represents an appropriate drug development target’ – effectively sanctioning Lundbeck’s application for an expanded license. "We are pleased with the Advisory Committee's recommendation that we have provided substantial evidence to support a claim of effectiveness of Brintellix for treating certain aspects of cognitive dysfunction in MDD," says Anders Gersel Pedersen, Executive Vice President, Head of Drug Development at Lundbeck. "This positive vote underscores the value of the robust research we've conducted on cognitive symptoms, which we've pursued knowing that patients need options. We are pleased that this sNDA represents the first regulatory submission to the FDA on this topic and we look forward to working with the Agency as they complete their review." In the US Brintellix is co-marketed with Takeda, and has been approved since September 2013 for the treatment of MDD in adults. Emiliangelo Ratti, senior vice president and head of the CNS therapeutic area unit at Takeda, says: "Today's positive recommendation underscores the role of addressing the medical need of patients who experience cognitive dysfunction in depression," said. "Common cognitive symptoms include difficulty concentrating, indecisiveness and trouble thinking. Many of these symptoms are prevalent during major depressive episodes and can have an impact on depressed patients." The committee's input will be considered by the Agency in its review of the Brintellix supplementary new drug application, which was accepted for review in August 2015. The FDA is expected to make a decision by 28 March 2016. In the EU the Committee for Medicinal Products for Human Use (CHMP) of EMA adopted a positive opinion for summary of the product characteristics update for Abilify Maintena (aripipriazole). The update will “support the physician in transitioning patients to the prolonged release formulation after symptom control has been achieved.” Abilify Maintena is indicated for maintenance treatment of schizophrenia in adult patients stabilized with oral aripiprazole.